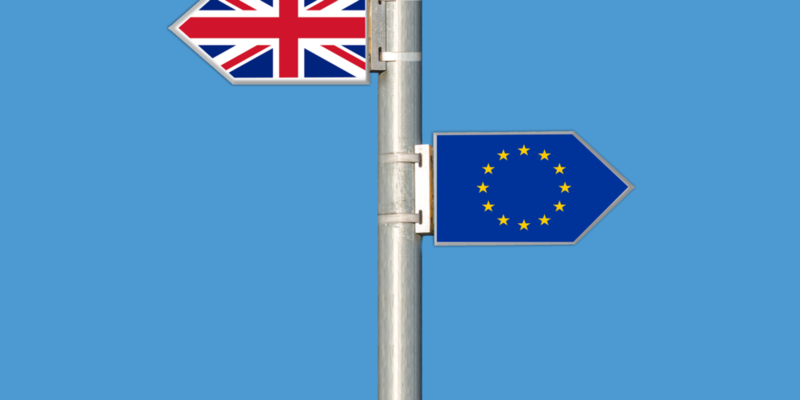 Back in July 2017 we reported on how Brexit would affect the UK’s event industry and our conclusion was one of uncertainty – that all too familiar word associated with Brexit and its effect on UK businesses. We definitely know the lure of running events in the UK, both on the agency side and clients around the world. After all, this sector is worth £41.2 billion, with the conference sector itself amounting to £18.1 billion in 2017. On top of that, UK has consistently placed third in ICCA rankings from 2015 to 2017. But with the future shrouded in uncertainty, how will the industry cope in the aftermath of an orderly Brexit, let alone a no-deal Brexit, which is looking more and more likely by the day? Let’s take the pulse of the event industry and see what’s being said and reported. A majority of poll respondents—carried out by various organisations—revealed that industry planners are opposed to Brexit, believing that this move would attract fewer events. There is a lot of uncertainty that may lead to instability in the industry, especially since there is no clarity from pro-Brexit campaigners as to the future trade deals with EU. There is a growing fear that major business will move out of London (a hub for corporate events and the event industry in general) making it harder for event companies to reach out to them. Free movement of EU workers could be restricted, which will curtail access to a significant number of workforce outside the UK. With all these in mind, let’s take the pulse of the event industry when it comes to Brexit and Brexit negotiations. According to the recent Conference & Incentive Travel’s (C&IT) State of the Events Industry report, 56% of corporate event planners are concerned about the impact of Brexit, while 10% of businesses see Brexit as their greatest challenge. On top of that, 26% of agencies cited Brexit as the biggest challenge that the industry, as a whole, currently faces. Specific issues raised by respondents focused on potential visa issues and fluctuating currencies that can affect their budgets. However, the fact that nobody knows how Brexit will affect businesses in general remains to be the primary concern. This is despite the fact that the outlook for event agencies is mostly positive—with 83% forecasting financial growth. Opinions from various agency leaders show mixed feelings regarding the referendum. In an interview with C&IT, managing directors of events companies in the country are optimistic about the future of the industry but remain concerned over the implications of Brexit. Almost 10% of respondents said that Brexit had a major impact on recruitment—a huge increase from only 2.3% in 2017. On the other hand, those who previously said that Brexit has little effect increased from 17.4% to 23.1% this year. This corresponds to the decrease in the percentage of respondents who saw no impact on recruitment over the past 12 months (from 80.3% to 67.3%). Entry-level positions are the hardest to fill, according to 90.6% of respondents. Mid-level roles and senior positions also proved to be a challenge to fill, according to 62.5% and 56.2% of respondents, respectively. Despite recruitment issues, however, 86.3% of organisations have not changed their recruitment processes since the start of the referendum. This impact on recruitment is felt across all sectors. The live music sector, for instance, is also bracing itself for Brexit impact. This could include additional fees for touring musicians, newer acts struggling to pursue their craft, and less diversity with talent and workers due to stricter immigration laws. There are also candidates across the EU, who are turning down job offers from UK agencies given the uncertainty with our immigration laws. Lorne Armstrong, co-founder and director of The Event Academy, said that there is a drop in job interest from EU residents in the past year, which poses a challenge for various creative event agencies. He recommends that both the government and the industry should come up with ways to provide an attractive and supportive environment for both European students and professionals who want to study or work in the UK. In line with this, the UK Events Industry Board (EIB) launched a new research programme that aims to assess how our industry attracts and retains talent, especially in light of Brexit. Both quantitative and qualitative methods will be employed to provide sound recommendations to the EIB. International trade and investments are fundamental to the events industry, which relies on strong business connections and trade links. In terms of its business impact, then, the industry is on a more positive note but remain on a vigilant stance. The HBAA Brexit study revealed that 57.7% of its respondents say the referendum has no impact to their business—an increase from 47.7% last year. Those who said there is significant impact also went down from 7% to 5.8%. Although the UK remains to be a go-to country for events, “our positioning as the global centre of excellence will be eroded”, Armstrong says, adding that Berlin is already gunning to take over London as “European capital of cool.” Perceptions are clearly huge on event industry professionals minds on top of the undeniable fact that talent from across the EU will face a raft of bureaucratic obstacles working in post-Brexit Britain. Although business momentum is on a positive stride, events companies cannot stay complacent. Richard Greene, CEO of Evvnt, pushes for organisers to embrace technological innovations to maintain the country’s spot as a top destination for events. This includes using social media to expand audience reach, going cashless for convenience, and using marketing technologies. Although nothing has been agreed at this point, there is now the very real possibility that Britain could leave the European Union without a deal. Opinion on this from within the industry is pretty unequivocal. A no-deal Brexit is disastrous for the hospitality and events industry, according to the Immigration Advice Service. Damon Culbert, political commentator for the IAS, said that a no deal Brexit could lead to a shortfall of up to 60,000 workers, something that will inevitably hit the event industry, which relies on EU workers and for professionals to travel freely around the European Union. “While Europeans have been assured that their rights will be respected even in the event of no deal, the process for registration could put many off staying much longer,” Culbert says. It goes without saying that Brexit is a hugely divisive subject matter and one that has generated plenty of uncertainties as to the future of all the sectors that do business in and with the EU, as well as those who are reliant on labour and the free movement of labour to and from the EU. In the July 2017 article, I stated my position on wanting to remain in the European Union and suffice to say, that position hasn’t changed (if possible it has grown more resolute). I stand with a lot of my colleagues and competitors to say that, whilst leaving the EU is only ever going to disadvantage the country’s competitiveness on the global stage, a no deal Brexit would be an unmitigated disaster. I for one hope that by March 2019, the UK Government (whatever party it may be) can negotiate the best deal for protecting businesses and the prosperity of this country.